The ConceptD 5 laptop for creators is the perfect place for it. Remember Intel’s crazy Kaby Lake-G, which caused a major stir by combining Intel CPU cores with AMD graphics cores? It’s back. My colleague Melissa Riofrio spotted it in Acer’s impressive ConceptD 5 laptop for creators, which packs the Core i7-8705G CPU into what might be the perfect chassis for it. Due to ship in April, the ConceptD 5 will have a starting price of $1,699. Intel announced Kaby Lake-G at CES in January, 2018, as part of a family of quad-core 8th-generation Core CPUs—but the only one with Radeon RX Vega M discrete graphics baked in. At the time, the CPU basically promised GeForce GTX 1050 Ti-level of graphics in a tiny little package. We actually thought it had a very good chance of upsetting Nvidia’s discrete mobile graphics plans, but only two laptops ever emerged with it: Dell’s XPS 15 2-in-1 9575 and HP’s Spectre x360 15. Other than Intel’s own Hades Canyon NUC, it’s been more than a year of radio silence. With Intel’s impressive 8th gen CPUs now packing six cores, and rumors of an eight-core version on the way, you’d have to ask yourself whether Kaby Lake G was even relevant anymore. 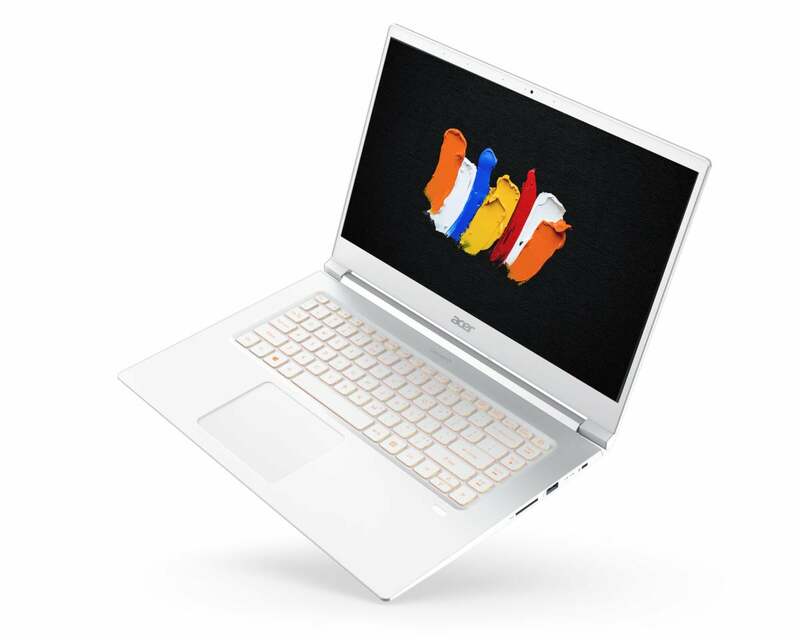 Acer’s Concept5 packs discrete graphics and a high-performance quad-core chip, and weighs just 3.3 lbs. Acer’s ConceptD 5 has hit on an answer. In addition to the choice of Core i7-8705G or Core i5-8305G processors, it features a Pantone-validated, 15.6-inch 4K screen that hits 400 nits and 100 percent of Adobe RGB color gamut. The RAM options are dual-channel configurations from 8GB to 16GB of DDR4, and storage options of 512GB or 1TB of RAID 0 M.2 SSDs, or single-drive configurations of 256GB and 512GB. Ports include USB 3.1 Gen 1 (5Gbps) in a single USB-C as well as three USB-A, HDMI, and a built-in SD Card reader. Wireless is a 2x2 802.11ac / Wi-Fi 5 chip. You also get a Windows Hello-certified fingerprint reader. Here’s the kicker: The ConceptD 5 is impressivly thin and light. It measures a petite 14.2 x 9.5 x 0.6 inches, and it weighs just 3.3 pounds. HP’s Kaby Lake G-based Spectre x360 15 tipped the scales at 4.7 pounds, while Dell’s XPS 15 2-in-1 9575 weighed about 4.4 pounds. Sure, both the Spectre x360 15 and XPS 15 2-in-1 9575 are convertibles with touchscreens, which tend to be weightier. 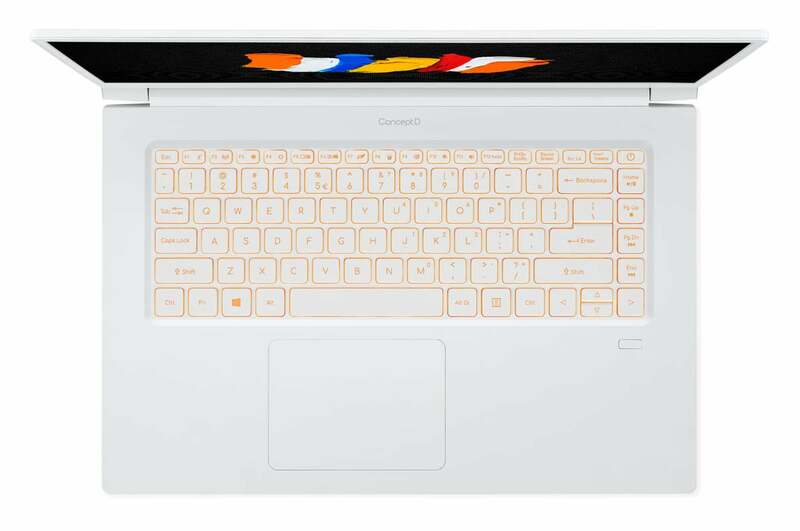 However, the ConceptD’s 3.3 pounds puts it in weight contention with many 13.3-inch and 14-inch laptops. With its faster discrete-class graphics and higher-performing cores (thanks to the shared Kaby Lake-G chip design), it’ll easily outperform those smaller laptops without the weight penalty you’d normally expect.